An asexual person is someone who does not experience sexual attraction. Unlike celibacy, which people choose, asexuality is an intrinsic part of who they are. While asexuality does not make lives any worse or any better, asexual people do face a different set of challenges than most sexual people. There is considerable diversity among the asexual community; each asexual person experiences things like relationships, attraction, and arousal somewhat differently. Asexuality is just beginning to be the subject of mainstream understanding. Asexual Awareness Week (AAW) began in 2010 as a campaign targeting the LGBT community and its leadership for greater awareness (source). 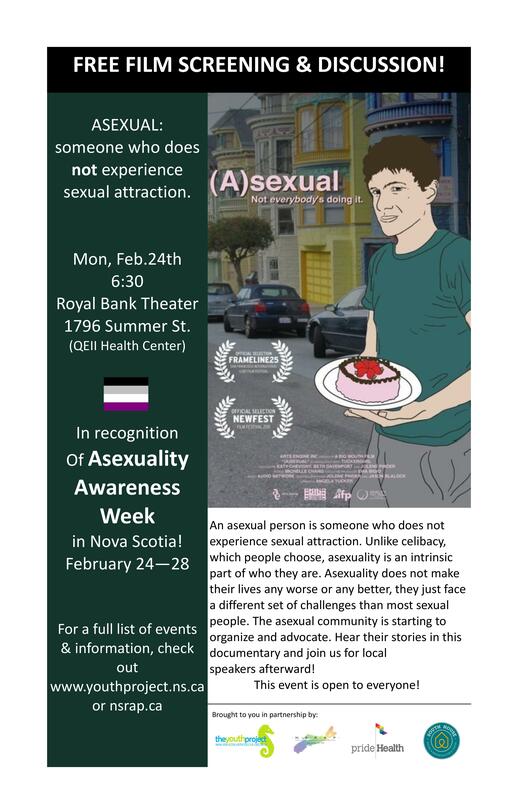 In Nova Scotia, for 2014 there was a free screening of (A)Sexual, a documentary that explores the asexual community. If you missed the screening this great documentary is also available on Netflix! 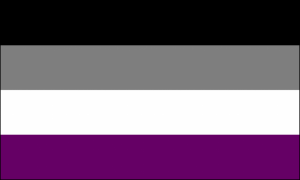 The Asexual Visibility & Education Network (AVEN) was founded in 2001 with two distinct goals: creating public acceptance and discussion of asexuality and facilitating the growth of an asexual community. 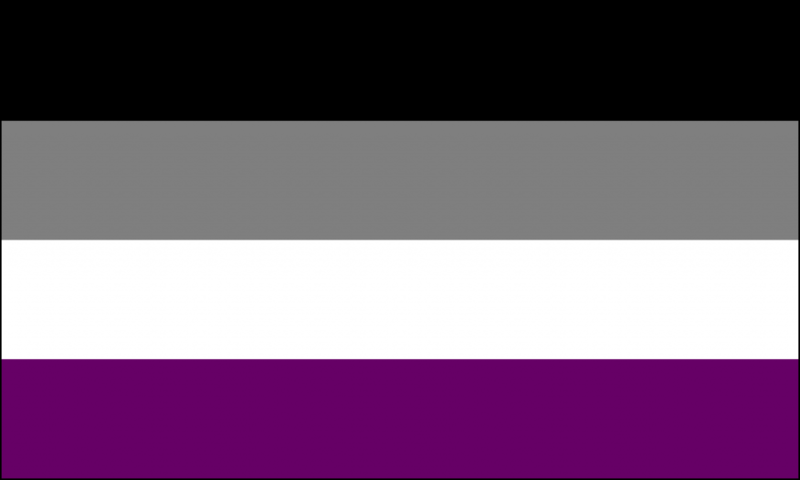 The Asexuality Archive‘s goal is to provide a comprehensive and uncensored look into what asexuality is, what it means and how it shapes lives. 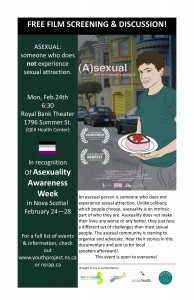 Asexual Awareness Week – lots of resources and information.